Our team of audio engineers are ready to take on your next project. Another facet of Entangle Media is our audio capabilities. Our staff has a working knowledge of the best practices for audio creation and production. 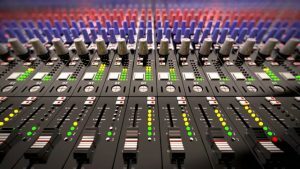 With a background in audio from Nashville, TN our production staff can help with voice overs, jingles, company themes or a full band recording session. No matter what type of audio we have the equipment and knowledge to get it sounding like a Grammy award winning track. Talk it, sing it or shout it. We’ve got you covered. Let our team of audio engineers get started on your next production. © 2019 Entangle Media. All Rights Reserved.